Make sure there is sufficient distance between you and your opponent. If the opponent has a longer reach than you, you should try to move further away from him or you might not be able to react fast enough when/if attacked. Even with years of training in any martial arts! Proper distance control is paramount to realistic self-defense. * You might be able to block the attack but that is only effective if you're bigger/stronger than your opponent (and he's unarmed). The proper distance ensures that the attacker has to step closer before he can deliver an attack. Correct interception at the start of the attack means less momentum behind the attack. * Takes less force to stop the attack (punching arm) at this point. Too late and you will end up blocking a strong punch. Blocking is not optimal against an opponent who's considerably heavier and/or stronger than yourself. 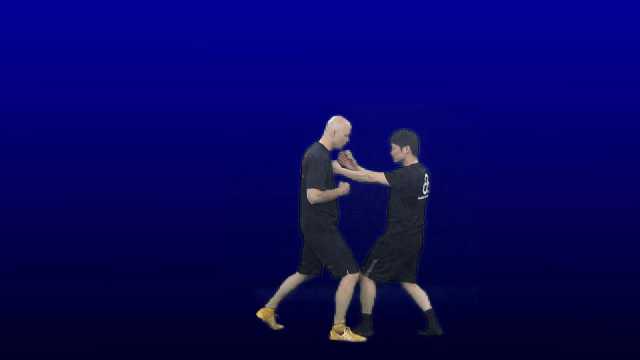 1 We should always try to avoid blocking strong attacks in wing chun. Fight your opponent when and where he/she is weak. 2 Always avoid using power against power. There's always someone who's stronger than you so don't rely solely on power.